The Trump administration has proposed a new rule that would impose restrictions on abortion in the United States. The proposal, submitted by the Department of Health and Human Services (HHS) to the Office of Management and Budget for review Friday, sought to restrict federally funded health clinics from offering or referring patients for abortions. If made into a rule, it would amend the Title X Family planning program — the federal grant scheme aimed at subsidizing birth control and reproductive health care in the U.S. Under the new plan, hospitals, community health centers and clinics would be barred from receiving Title X funding if they perform abortions or refer women to abortion providers. Under Title X - enacted by former President Richard Nixon in 1970 to offer assistance to patients from low-income families and uninsured people — the government will allot $260m a year for family planning services such as contraception and health checks, BBC reported. While the White House claimed the plan would "improve women's health," pro-choice advocates voiced their opposition to the move. 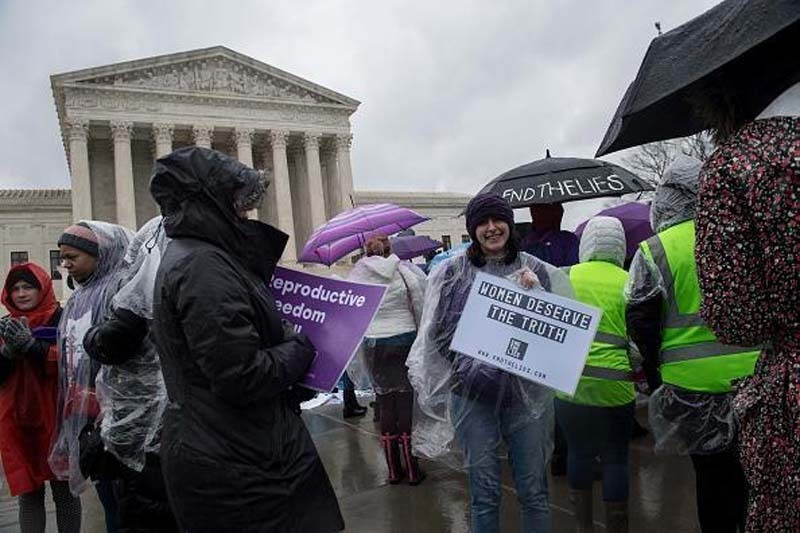 They said it could severely affect the most marginalized women in the U.S.
Several senators and House members, in two separate letters sent letters to the HHS on May 14, criticized the government attempts to limit health care clinics from accessing Title X funding. Sen. Elizabeth Warren, who was one of the signatories, said, "This attack on Title X is another part of a broader assault by Republicans on the health, safety, and economic independence of women and their families." Lili Gomez of WestFund, a group that offers financial assistance to help people undergo abortions in New Mexico, said,"Reproductive justice isn’t just abortion. It’s all kinds of forms of health care that affect a person’s reproductive and bodily autonomy to do reproductive care for themselves whether it be birth control or yearly pap smears or things like that." This is not the first time the Trump administration has tried to attack abortion rights. Earlier this year, the president scrapped a rule, established under the Obama administration, that restricted states from excluding organizations like Planned Parenthood form the Medicaid program. Prior to that, in January 2017, Trump restored the Mexico City Policy or the “global gag rule” — enacted by former President Ronald Reagan in 1984 and rescinded by President Barack Obama in 2009. It will prevent international organizations that provide abortion services from receiving funding from the U.S. government.